Cardbomb: Giving It a Shot, Why Not?! Wow! Just this morning I found out that today was the deadline to apply to be a display stamper at On Stage in November. This time around I am lucky to be able to attend the Live event in Salt Lake City, Utah! It's going to be so amazing!! 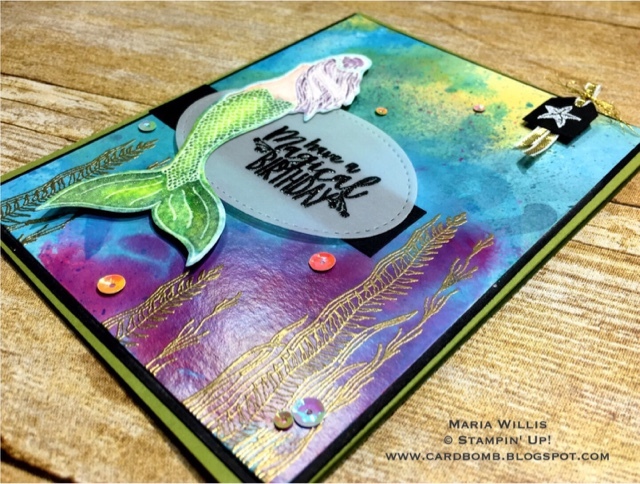 I'm sure there are many talented stampers hoping to be selected for the honor of being a display stamper at this event and I wanted to throw my hat in the ring as well. 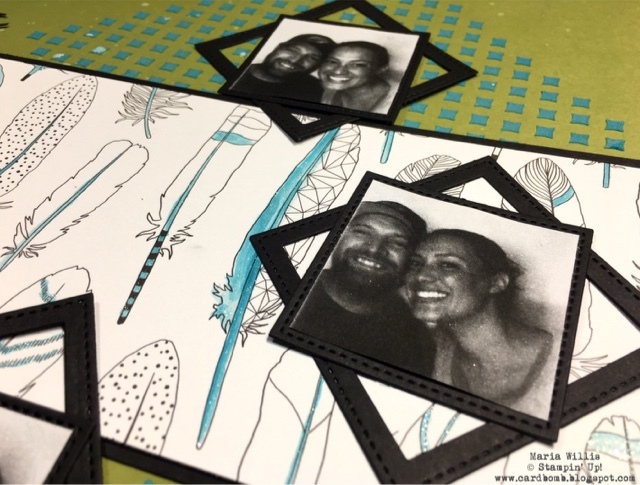 It was truly a scramble to get this post put together on time and I even created my scrapbook layout in record time because after work I had to leave almost immediately to go to a friend's birthday dinner. I wish I'd had a bit more time to play around with my layout but I'm just grateful that I was able to get it done in time. 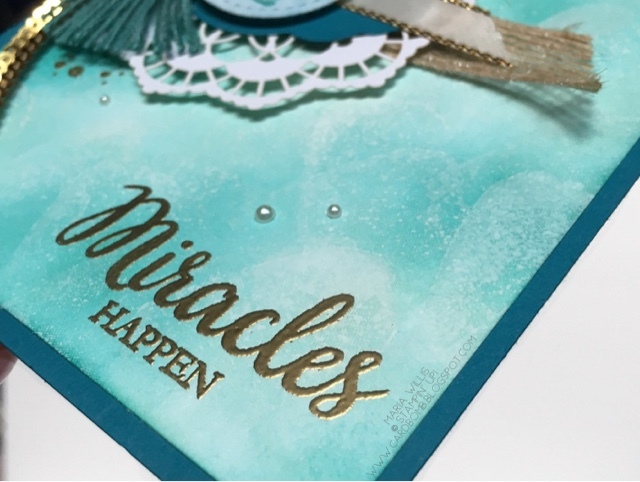 For this application we are to turn in three cards, two 3D items and a scrapbook layout. 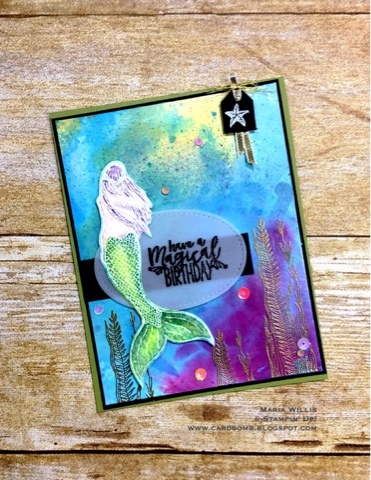 For my first card I chose this mermaid card with an alcohol ink blended background on glossy paper. I watercolored the mermaid and cut her out. 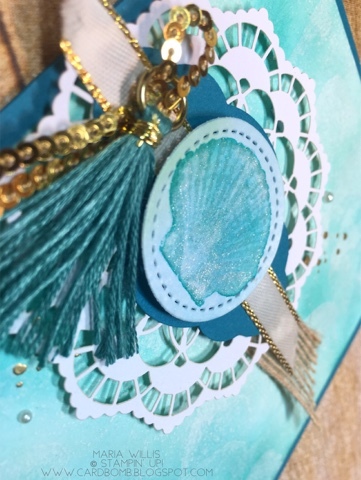 The seaweed is embossed in gold and I created a fun little tag embellishment for the top. 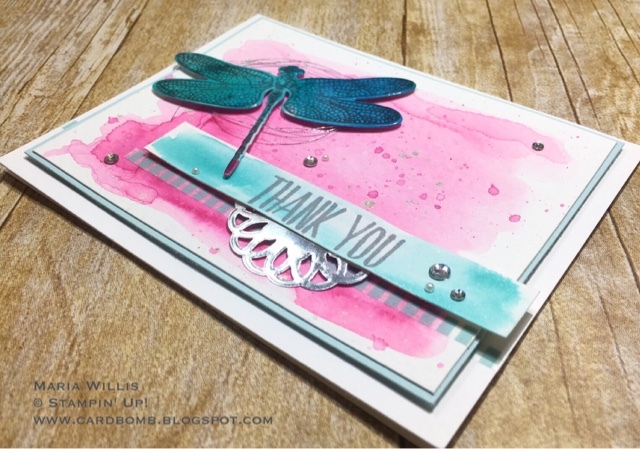 For my second card I've chosen this dragon fly card. The background is watercolored in Berry Burst and splattered with Clear Wink of Stella. 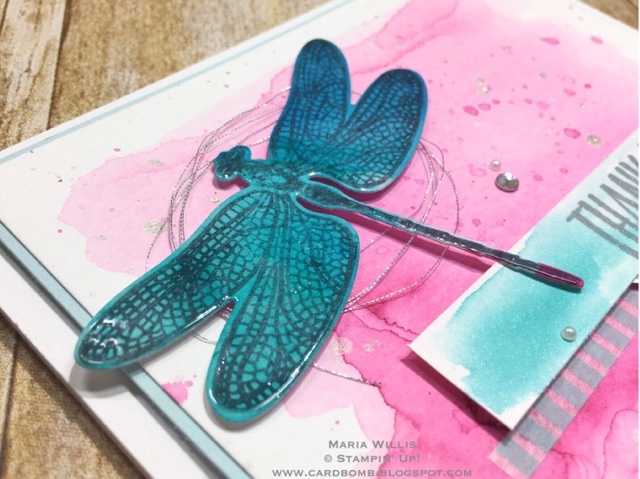 The dragon fly was ink blended on glossy cardstock and then clear embossed for a glassy sheen. My third card was made using both the So Many Shells set and the You're Priceless Sets. 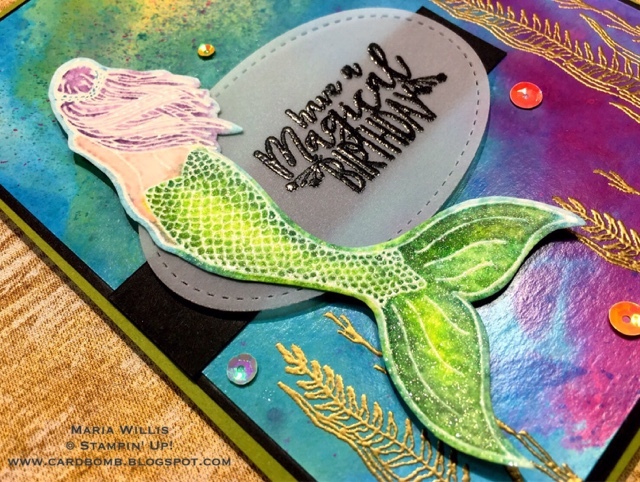 I really had fun layering some gorgeous new products together. 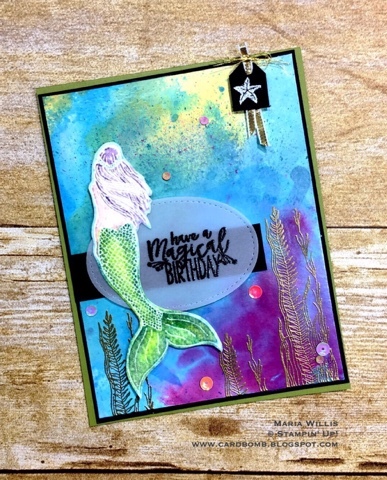 The shell was stamped, watercolored and glammed up with Clear Wink of Stella. 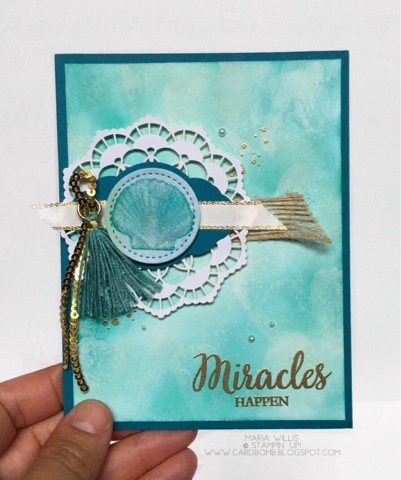 I was able to create an "ocean spray" background by sponging Pool Party and Bermuda Bay and then stamping (with the "splotch" stamp from You're Priceless) repeatedly over the sponging with White Craft Ink. I love how soft and wild it looks. 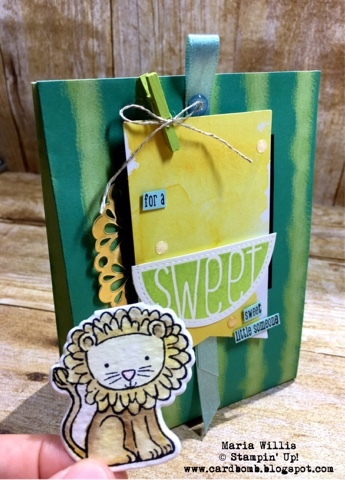 For my first 3D item I am sharing this "sweet" gift bag made using the June 2017 Paper Pumpkin kit. 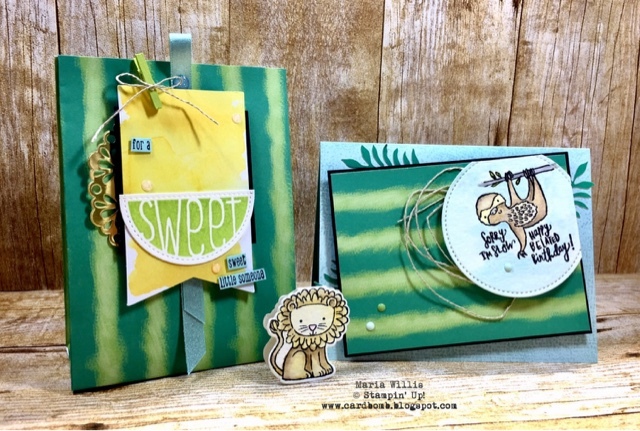 I had fun layering the pieces of the kit together to make this alternate jungle/baby project. Surprise! 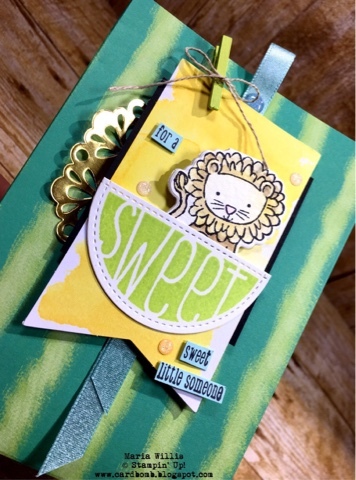 The adorable little lion card sits in the pocket I made using what was supposed to be a watermelon stamp. And, the little cutie easily slips out for the recipient to read a sweet little message. My second 3D project is a mixture of product suites and In Colors. 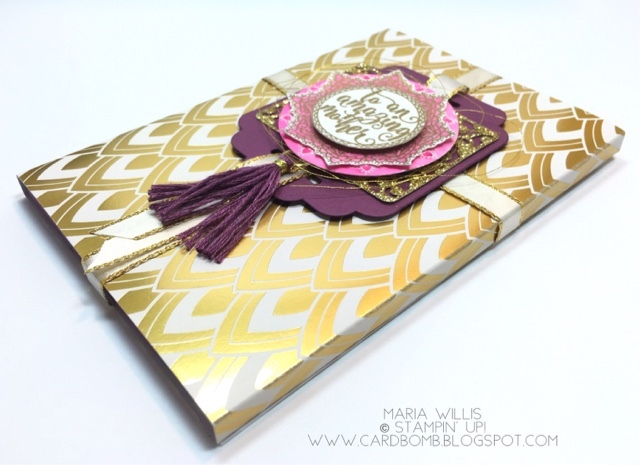 I heat embossed in both gold and clear, watercolored, and fussy cut my top layers. The bottom layers were easily cut with my Big Shot and made for a beautiful base. I love the new ribbon and tassels too! Of course this project went to my Mom on Mother's Day. She loved it. It made me so happy to see her face when she opened it. I love giving the things that I make away to people that are special to me. Dun, dun, nun, nun.... and here's my scrapbook layout. It's only the second one I've ever made and I had just a few minutes to put it together. I didn't have any pictures so I photocopied a strip of pics that my husband and I took in a photo booth about eleven years ago (before we got married)! 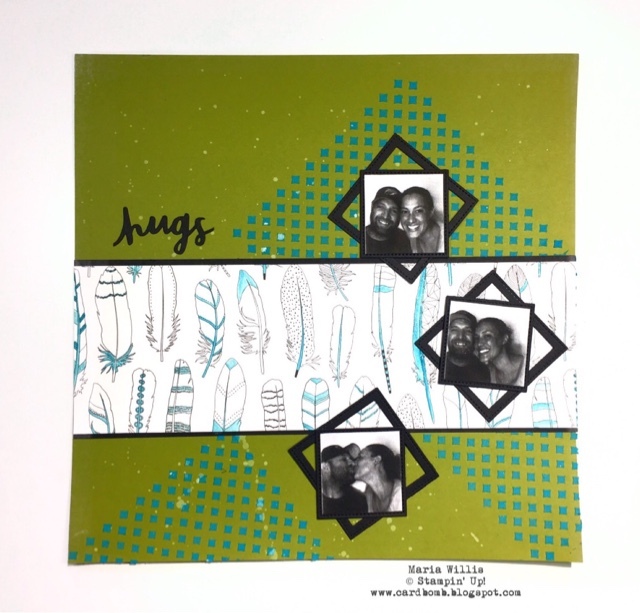 I cut the photo copy up and made this funky page using an Old Olive base, texture paste (dyed Tempting Turquoise) and some new DSP. I also splattered some Whisper White Craft ink onto the background. I used my Clear Wink of Stella dipped in Tempting Turquoise ink to add some pops of color to the feathers. I wish you could see that part in person. It's really sparkly. Alright! That's all I've got! 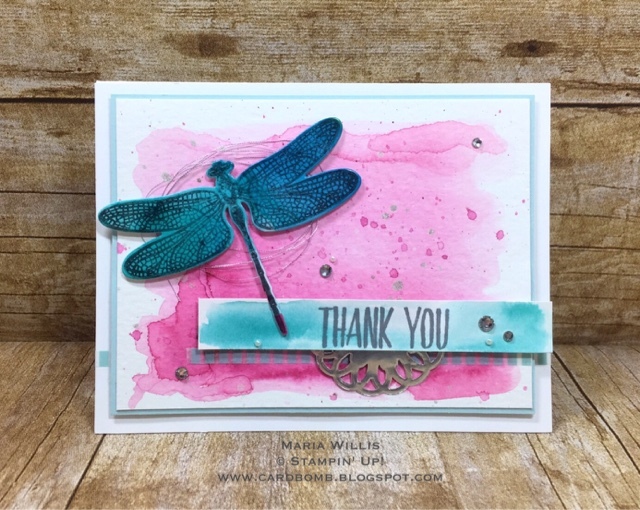 Thank you Stampin' Up! for taking the time to look through the many applications I'm sure you have received.